Project manager Bruce Davidson with Auchincruive students. 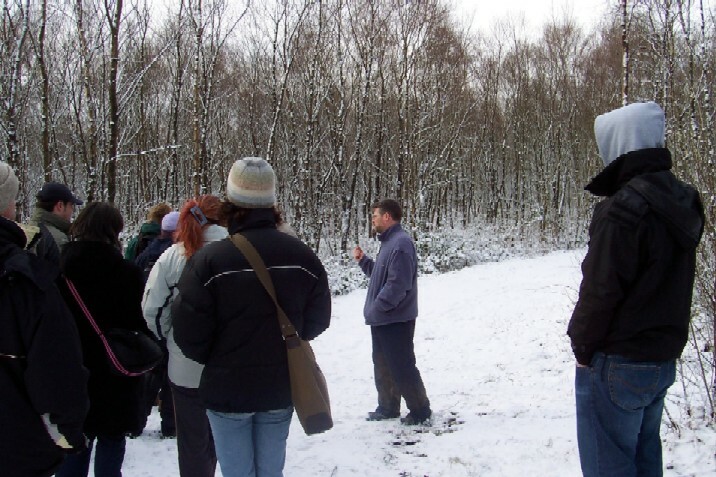 East Ayrshire Woodlands can offer talks to a wide range of groups on woodland management techniques and practices. These range from community groups interested in managing their local woodland to college and university groups. our sites. There are are range of new skills available, together with qualifications in chainsaw use and pesticides. East Ayrshire Woodlands, as part of the Forest Education Initiative (FEI) are happy to organise training days in a range of areas. taking place within a local woodland.